In referring to “gifts” and “talents” we are referring to a set of characteristics and potentials, dimensions of behavior that can be observed and documented among many individuals in different contexts, and at various times. They are not fixed designations or labels which can be permanently assigned to a person in all circumstances. 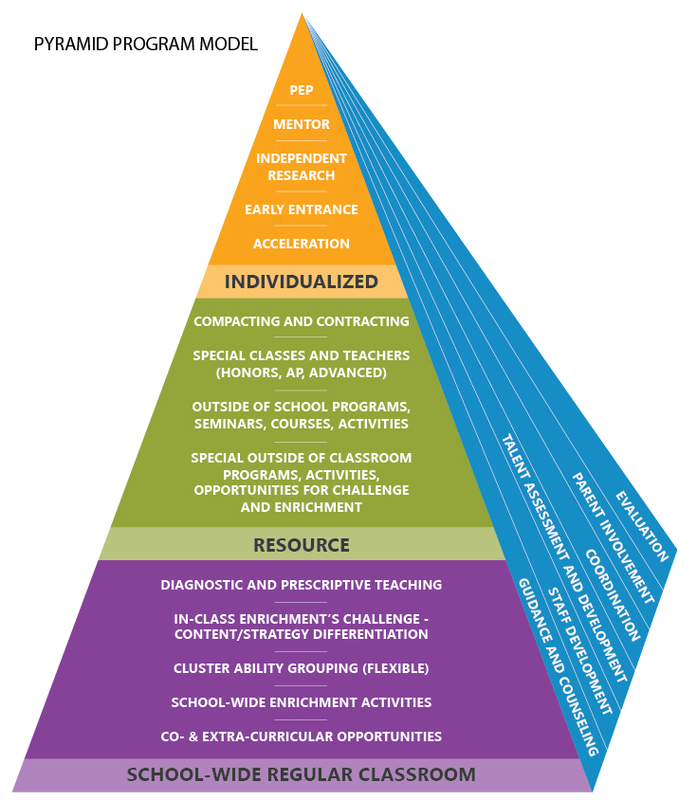 The pyramid model above (a larger version is available by just clicking on it) is based on a recognition that no single “program” can meet the needs of students with a wide range of observable talents and gifts. Programming represents a decision-making process in which we analyze the characteristics and needs of students in order to determine the most effective instructional responses. The decision making process may lead to a conclusion that services presently being provided should be modified in some ways. Nothing is more central to programming than responsiveness to the unique needs of each student. For some students, school-wide enrichment activities or modifications to the regular curriculum may be sufficient to address learning needs. For other students, further program modifications, provided either inside or outside of the regular classroom, or outside of the school setting, may be required. 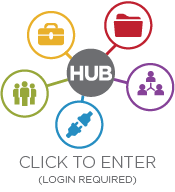 These program modifications will vary in their duration and design from school to school or student to student, and may be considered “revolving door” services provided when and for whatever time the services are required. The upper level of the pyramid indicates that for a small number of students (1 to 2%) more intensive efforts must be made to accommodate the learning needs of students who consistently provide evidence of superior performance capacity in specific academic areas, creative thinking, visual and performing arts, and leadership. 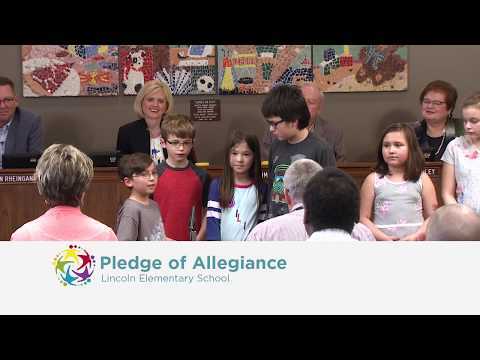 For these students, a personalized education plan is created, with input from classroom teachers, parents, and the students. A key individual in advocacy, identification, and programming is each school’s GAT Facilitator and the current roster and how to contact them are in the table below.